By-default admin URL in Magento is “youwebsite.com/admin”, you can move to this URL and log in as Magento user administrator. But what you should do if you want to change the default path to admin panel? Here we are ready to help you with this. The first thing that you should do its log in in Magento admin and move to “System -> Configuration -> Admin ->Admin Base URL”. Then change the setting “Use Custom Admin Path’ to “Yes” after that change in the shown field “Custom Admin Path” to whatever you want. It could be any word with/without numbers, but be aware of spaces. Here you can check how it should look like. Another solution is to change it in the XML file, its path is “app/etc/local.xml”. You have to download it from your server and upload it again after the fix is applied. Remember, if you are hesitating how to do this the better to use “Option 1”. In the downloaded file please find following XML code and change admin to whatever you want. Hi, it was a good read! 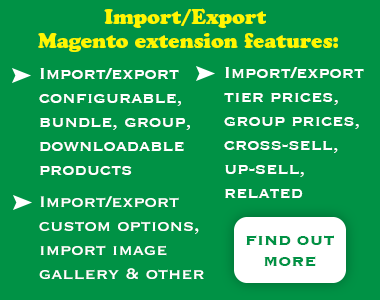 During my research, I have found another link https://magenticians.com/change-magento-admin-url/ which I found more in-detailed you can also add more value to your article which can be really helpful for those who have just started with Magento development. Still, it was a quick and concise explanation.